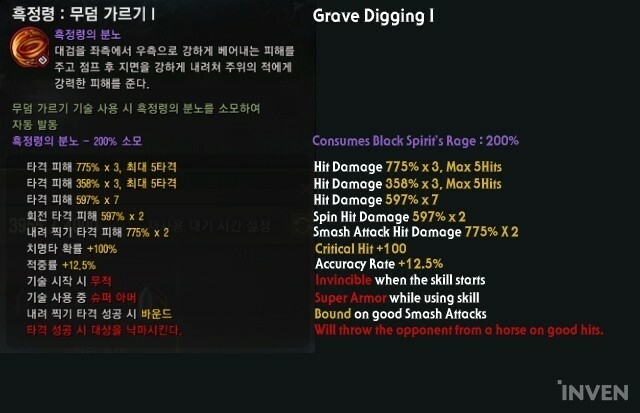 Black Spirit’s Rage Skill Newly Added for Warrior in BDO KR - Increased AoE and Hit Numbers! 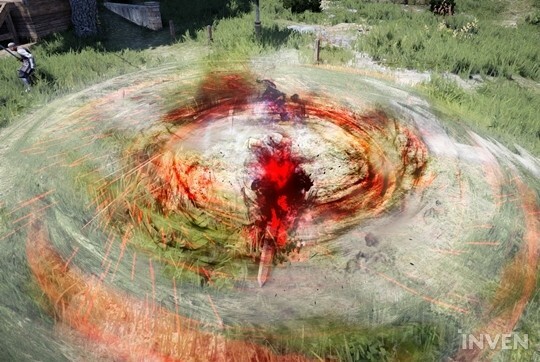 A new system where you can use the Black Spirit’s Rage on a variety of skills was added to Black Desert Online KR on August 15th. This system allows players to enhance their skills by consuming 10%, 25%, 50% of Black Spirit’s Rage instead of activating the Black Spirit’s Rage skills by consuming 100% or 200%. They can be activated by setting command keys such as ‘F’, ‘LMB’, or ‘RMB’ for certain skills. The Black Spirit’s Rage skills have been added only for the Warrior so far. The skills used with Black Spirit’s Rage include Pulverize, Merciless, and Slashing the Dead; each of these skills can be activated when there is 10%, 25%, or 50% of Black Spirit’s Rage. Once they are activated, the needed amount of Black Spirit’s Rage will be consumed, and players will be able to see the character’s movement changing with dark red effects added. ▲ Black Spirit’s Rage: Pulverize has a wider area of effect than the original Pulverize skill does. 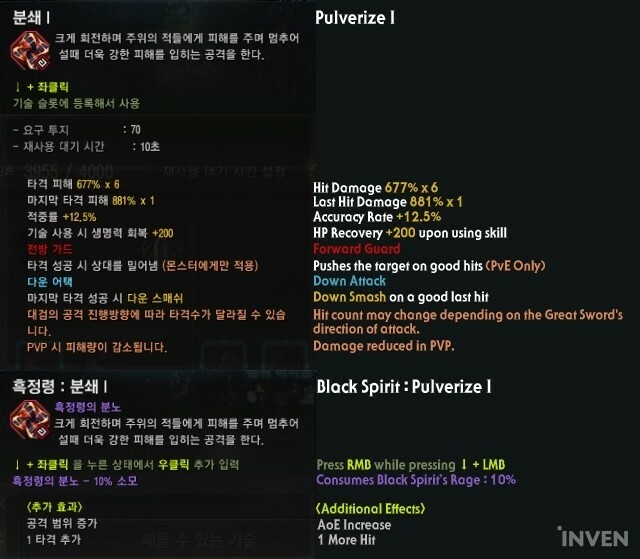 Pulverize can be activated by using ↓ + LMB, while Black Spirit’s Rage: Pulverize is activated by adding RMB to the previous command keys. You would get AoE increase and 1 more hit as additional effects. 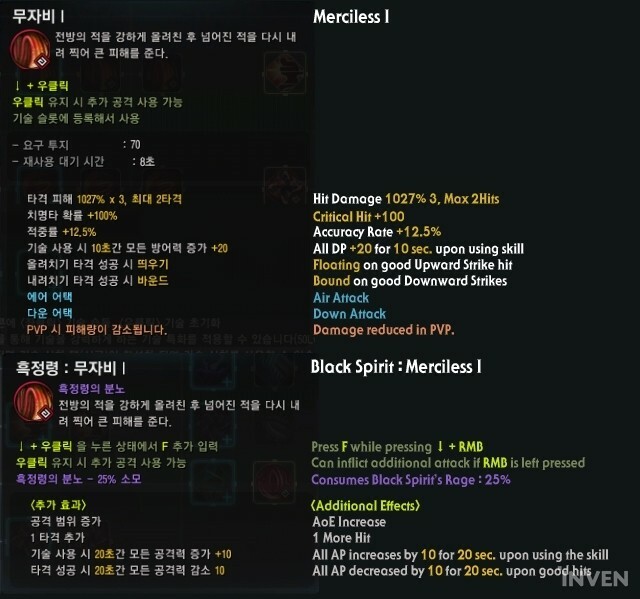 Black Spirit’s Rage: Merciless can be activated by pressing F while pressing ↓ + RMB. You will get an AoE increase, 1 more hit, a buff that gives you +10 increase to all AP, and a debuff on your target that decreases all of their AP by 10. 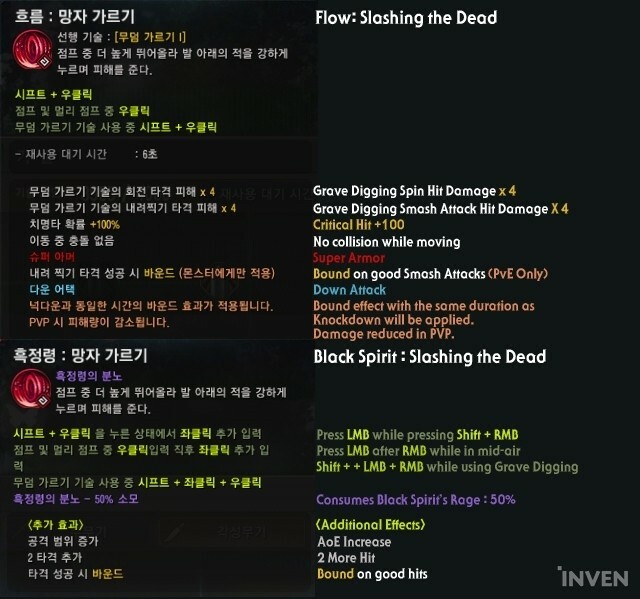 Black Spirit’s Rage: Slashing the Dead can be activated by pressing LMB while pressing SHIFT + RMB. The additional effects for this skill include an AoE increase, 2 more hits, and Bound effect on good hits. 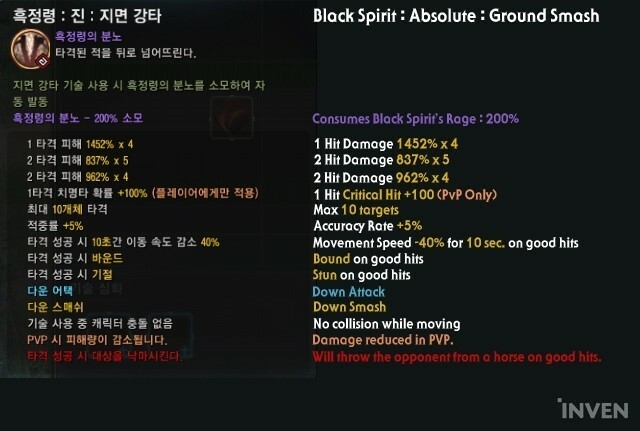 Additionally, you can now use Black Spirit’s Rage for Absolute: Spinning Slash and Absolute: Ground Smash; the Black Spirit’s Rage effects will be automatically added when activating these skills while you have 100% or 200% Black Spirit’s Rage. Also, additional descriptions have been added to previous Black Spirit’s Rage skills, from which you can now see the damage and effects in detail. 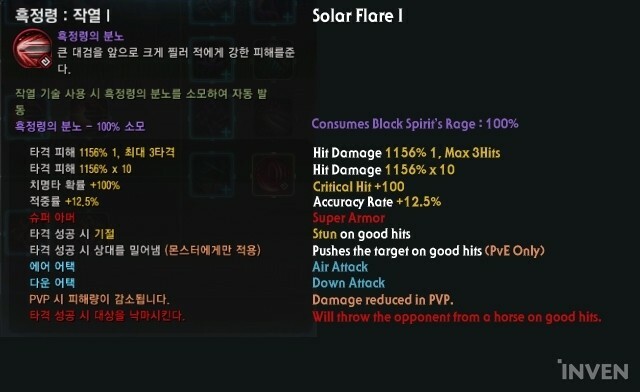 For example, you can use Black Spirit’s Rage: Solar Flare by consuming 100% of Black Spirit’s Rage. 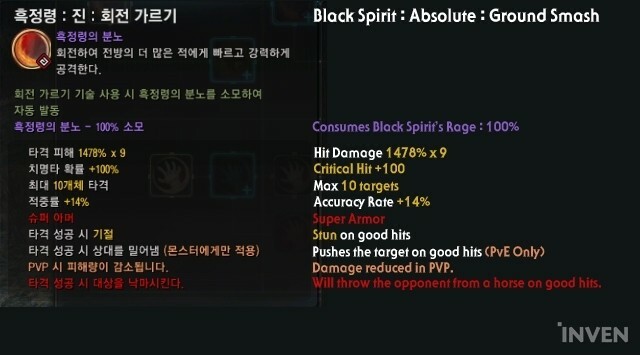 The Black Spirit’s Rage effects will include a large hit damage increase, additions of Super Armor, Stun upon good hits, and Down Attack.